CHARLOTTE, N.C. — Center Ryan Kalil, retired. Defensive end Julius Peppers, retired. Linebacker Thomas Davis, not re-signed. The Carolina Panthers must replace three of their six captains in 2019. 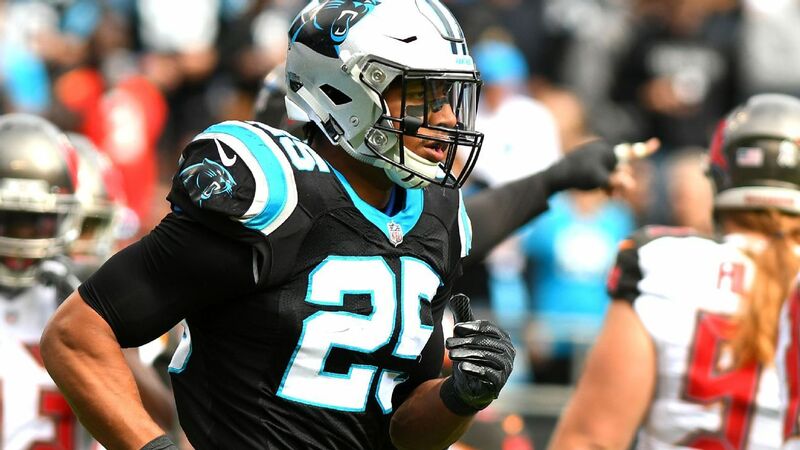 It marks the biggest turnover in leadership since the 2013 season when Kalil, linebacker Luke Kuechly and quarterback Cam Newton had a “C” placed on their jerseys for the first time. Over the past five seasons, at least five of the six captains have remained in place — with an asterisk beside 2018. One could argue Davis and Kalil have been the most outspoken leaders in the locker room the past six seasons. Davis had been a captain the past eight, although he didn’t begin 2018 as one while serving a four-game suspension for violating the league’s policy on performance-enhancing drugs. He became an honorary captain after that, thus the reason for the asterisk. Regardless, the three losses are a huge void to fill on a team that prides itself on having a strong locker-room culture. So change is coming. There’s no doubt Newton, Kuechly and tight end Greg Olsen — as long as they remain healthy — will remain captains and strong leaders this season. Newton and Kuechly have been captains since 2013, and Olsen has been one since 2014. Safety Eric Reid: Signing him on Monday to a three-year, $22 million deal was important in terms of solidifying a position of need. Reid can play strong or free safety, and at 27 he’s experienced enough to bring leadership to a secondary filled with young players. With the security of a new deal, he has more reason to be outspoken in the locker room on issues besides his collusion grievance against the NFL. Teammates had nothing but great things to say about Reid last season as a player and person. Rivera noted last season Reid is one of those players he sees putting his arm around younger players to offer advice. Reid also brings an edge to the defense the way he plays angry. He seems like a natural to step into a captain’s role the way Kurt Coleman did in 2017. Running back Christian McCaffrey: He started to come out of his shell in terms of speaking to the media last season as his role in the offense increased. If he’s going to continue to be on the field for 91 percent of the snaps, as he was a year ago, then it’s time for him to take a bigger role in the locker room. Like Kuechly, McCaffrey leads more by example. Like Kuechly, he has a work ethic in practice and in the film room that is second to none. Teammates will feed off that. McCaffrey is no stranger to being a captain. He was one as a sophomore at Stanford, and earned the rare distinction there to carry the American flag as the team ran onto the field. Guard Trai Turner: Former left tackle Jordan Gross passed the baton to Kalil when he retired after the 2013 season, and Kalil suggested last season that Turner could be the one to carry on the tradition of having an offensive lineman as a captain. That’s a solid endorsement. Tackle Taylor Moton or Daryl Williams, who remains unsigned, also are candidates. But Turner’s edge is that he has been selected to four Pro Bowls, which adds credibility to his ability to be a leader. Defensive tackle Kawann Short: Like Turner, he has been more of a behind-the-scenes player in the locker room. But with two Pro Bowl selections and an average salary of $16.1 million that makes him one of the highest paid tackles in the league, he can step into the role that Peppers did on the line. The Panthers will need more leadership from Short in general with the staff considering a mix of 3-4 scheme with their traditional 4-3 scheme, and with the inexperience Carolina likely will have at end (aside from Mario Addison). Wide receiver Torrey Smith: He was acquired last season to bring more leadership to a young receiving corps — that he accomplished. What could make him a hard sell as a captain is the emergence of 2018 first-round draft pick DJ Moore as the No. 1 receiver and 2017 second-round pick Curtis Samuel, which means Smith’s role on the field could diminish. But he’s a strong enough influence in the locker room that his name should be mentioned here.